Without looking closely at his filmography, I don�t know which Johnny Depp film qualifies as his biggest flop. I suspect that 2014�s Transcendence competes for that dubious title, though. With a $100 million budget, the movie snared a mere $24 million in the US. Even with foreign grosses included, its sales fell short of its cost and made it a clear financial dud. That doesn�t ensure poor quality, though, so I figured I�d give the movie a look. 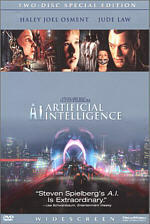 Dr. Will Caster (Depp) works with his wife Evelyn (Rebecca Hall) in the field of artificial intelligence. While he makes substantial strides, he inspires resistance from parties who feel that his efforts cross the line. This leads to a variety of attacks on different AI labs and a zealot shoots Will. The bullet only grazes him, but because the shooter used a bullet infused with radiation, Will slowly weakens and dies. Physically, at least. Based on Will�s research, Evelyn uses techniques to transfer Will�s brain into computer form and keep him alive in a certain way. The film follows the ramifications of this decision and the inevitable complications. 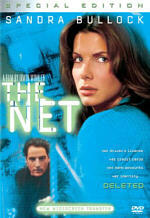 Hollywood occasionally delves into movies that examine human �super-intelligence�. 2011�s Limitless took that path, and 2014�s Lucy appears to take a similar approach. Transcendence gives the notion a twist via its computer interface, but it still comes across as another tale about the human brain unbound. I suspect Transcendence probably owes an even greater debt to 1992�s Lawnmower Man, a story that used super-intellect and computer applications. That one seemed dated and idiotic 22 years ago, so it didn�t create a positive template for Transcendence. Transcendence manages to work better than Lawnmower Man, but that doesn�t mean much, as I thought the 1992 release was one of the crummiest movies I ever saw. Transcendence doesn�t fall to those depths, but it comes with issues of its own. The biggest problem that comes with Transcendence stems from its general formlessness. The movie bites off a number of themes but fails to explore any of them in a satisfying manner. It wants to be deep and intelligent but instead it simply manages to frustrate the viewer with its lack of coherence. This means the movie flits from one area to another without any real logic. We follow Will�s computer-bound �life� as well as additional research and the efforts of those who oppose those efforts. The story focuses on the different realms in such a vague, superficial manner that they never involve us. Transcendence also fails to explore its subject matter with any form of drama. Despite all the emotional potential in this material, it comes with an oddly dispassionate approach that doesn�t allow the story to engage us. Perhaps because the narrative never seems to know where it wants to go, we wind up with a plodding, disconnected experience. 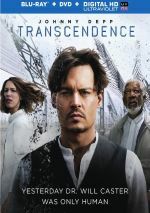 As I watched Transcendence, I wanted to like it, and the film came with enough promise that I constantly felt as though it�d soon turn a corner and become an involving sci-fi thriller. Unfortunately, that improvement in quality never comes. Instead, the movie rambles along without much logic and leaves the viewer out in the cold. Transcendence appears in an aspect ratio of approximately 2.40:1 on this Blu-ray Disc. This was a mostly good visual presentation. Overall, I felt sharpness seemed positive. A handful of soft shots appeared, and those caused minor distractions. Despite those moments, the movie usually displayed fine delineation. No signs of jagged edges or shimmering, and I witnessed no edge haloes. Print flaws remained absent in this clean presentation. In terms of palette, Transcendence tended toward teal and orange. Those tints didn�t seem oppressive, and within those choices, the colors seemed fine. Blacks were dark and tight, while shadows looked smooth. I felt pleased with this transfer. Though without the constant razzmatazz of a big action flick, Transcendence came with a positive soundfield. It used all the channels to give us music, and appropriate effects cropped up around the spectrum in a convincing manner. Those elements meshed together in a concise way and helped give us a vivid sense of place and events. Audio quality satisfied. Music was bright and bold, while speech came across as natural and distinctive. Effects seemed accurate and dynamic, with clean highs and deep lows. The track worked fine for the material. In terms of extras, the Blu-ray comes with seven featurettes. We find �What Is Transcendence?� (5:20), �Wally Pfister: A Singular Vision� (2:52), �Guarding the Threat� (2:18), �The Promise of AI� (2:34), �It�s Me� (1:02), �Singularity� (1:09) and �RIFT� (0:58). Across these, we hear from director Wally Pfister, producers Broderick Johnson, Annie Marter, Kate Cohen, Marisa Polvino, Andrew Kosove and Aaron Ryder, UC Berkeley associate professors Michel Maharbiz and Jose Carmena, 2045 Initiative founder Dmitry Itskov, screenwriter Jack Paglen, director of photography Jess Hall, visual effects supervisor Nathan McGuinness, and actors Morgan Freeman, Johnny Depp, Kate Mara, Rebecca Hall, Paul Bettany, and Cillian Murphy. The pieces look at story and characters, research and the real-world state of artificial intelligence, Pfister�s impact on the production, and related areas. These tend toward the promotional side of the street � especially during the final few, which really are just ads for the movie. A smattering of decent notes emerges in the first couple of clips but don�t expect much. The disc opens with ads for A Dolphin Tale 2 and Ultraviolet. We also get two trailers for Transcendence. A second disc provides a DVD copy of Transcendence. It includes the �What Is Transcendence?� and �Singular Vision� featurettes but drops the others. With a variety of intriguing themes, Transcendence boasts potential. Unfortunately, it lacks the investment and coherence it needs to become more than a muddled, inconsistent experience. The Blu-ray offers generally positive picture and audio as well as a minor set of supplements. There�s a good movie buried in here somewhere but Transcendence doesn�t allow that quality film to emerge.